In 2016, Rand Fishkin, co-founder of Moz, introduced the concept of 10x content. But what does that mean? From a high-level, it means brands need to create content that’s 10x better than existing content. In doing so, it will allow those brands to get more recognition and help drive more traffic and leads. The core base of this content is centered around the notion of bringing value to the reader. Previously, people posted long-winded content because an increase in word count meant more traffic. Now, for example, a well-written, 500-word blog post is a better bet than a lengthy e-book on the same topic. Depth: Cover topics in a deeper and more meaningful way. Resources: Incorporate tools, tips, and insider secrets that other company’s can’t or won’t offer. Source: Only reference high authority and trustworthy sources. Uniqueness: All content pieces should be different from existing pieces that live on the web. In addition to the above four points, 10x content should be both visually and emotionally engaging, which will encourage readers to keep reading until the end. The point is to create thoughtful content that will attract readers. To learn more, you can search through Content Marketing Resources and read How 10x Content Can Revolutionize Your Marketing Process. Incorporating the ideas in the 10x content theory can help you shape your plans. Ask why content is valuable and how your brand or company can create it. Many companies might be too nervous to invest money and resources into this type of content but that’s no reason to shy away from this revolution. After all, 10x content can truly help any company or brand become an industry expert and grow. Discover what you’ll learn in the white paper. Why Is 10x Content Valuable? The first part of this white paper focuses on the definition of 10x content. This paper then goes on to highlight the value that this type of content can bring to a company. With content creators publishing 2 million blog posts a day, posts that are average or surface level can easily get lost. Creating content that sticks (and is helpful and adds value) will help brands stand out in this vast sea. At the end of the day, customers only care if they can trust you and the content is useful to their needs. By providing useful 10x content, even the smallest of companies can win over the masses. What Else Does This White Paper Highlight? After describing what 10x content is and why it’s so valuable, we go on to describe how brands can create 10x content. It’s important to know that 10x content is not easy to produce, which is why we recommend to start with setting a goal to create at least one 10x piece per quarter. Research your competitors to discover the topics and themes they cover. Identify gaps in information or in your audience’s knowledge base. Provide deep insight into a particular topic. Invest in interesting and valuable ways to provide answers. Combine multiple resources to provide additional value. Discover distinctive ways to present the content. Engage influencers and audiences after you publish. For some, creating 10x content can take many months. And that’s okay. A really powerful 10x piece should provide several months of traffic and ROI that make the time and effort worth it. This white paper concludes with a section about viral success and how it’s not guaranteed. In fact, only 20 percent of your 10x content is likely to succeed. But don’t let that alarm you. Even some of the most well-known marketing and digital experts, such as Neil Patel, understand that not every piece will drive the volume of traffic they want (or need). Even more so, the likelihood that your 10x piece will go viral is one in a million. Focus your efforts on creating valuable content that will help your customers. This in turn will create reasonable traffic, engagement, and leads so you can ultimately hit your goal. Keep in mind, that you’ll be successful even if one of your pieces doesn’t reach millions of people. Where Can You Find This White Paper? There are a few ways. All of our white papers, including the one we’re highlighting in this post, can be found in the Resource section of our website. In that hub, you’ll find a variety of articles, tutorials, and guides that will help marketing teams with a range of digital strategies. Another way to get this white paper is by following the link in this release. If you like this white paper, please feel free to share it with your peers and other marketing colleagues by emailing it or posting it on social media. Download this guide, and you will discover just how powerful 10x content can be to any marketing strategy in any industry. We love getting feedback from our readers. 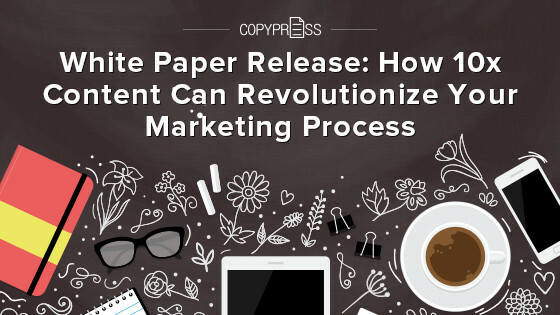 Did you find our white paper on How 10x Content Can Revolutionize Your Marketing Process to be useful? Is there a section that needs more detail? Do you have an idea that would serve as a good follow-up piece to this white paper? Please let us know. We love hearing from our readers and always strive to create resources that people will use and share. 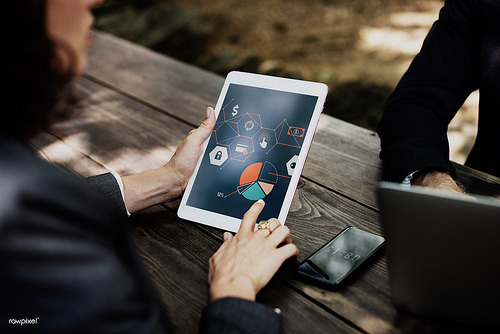 Covering a wide array of topics that include digital media, content creation, infographic design, sales, and outreach strategies, we create pieces that are meant to serve as a tool to help you create a successful marketing campaign. We hope you enjoyed this white paper. Make sure to check back often to see what else we’re covering. Defining Success: How to Set and Measure Content Marketing Goals Should Your Business Be on Snapchat?